Victorian coving / Victorian plaster cornices in stock. Finest Victorian coving collection with acanthus leaf Victorian cornices and decorative Victorian plaster mouldings range. The classic Victorian cornice styles in UK is called Victorian coving or Victorian cornice, the most popular plaster coving styles and best sellers in the UK. Authentic Victorian coving collection ranges from London and throughout the UK, manufactured in our Coving shop London UK. If you like to know more about period Victorian coving styles please don't hesitate to contact us. The UK Victorian coving styles and plaster Victorian cornice profiles for plaster cornicing, are available to buy from stock, and bespoke made to order. 260mm ceiling x 120mm down wal. Original and authentic Victorian coving dated in late 1860's. This Victorian plaster cornicing era offers grape vine ceiling cornice and egg dart wall architrave. Handmade with British plaster coving of paris. Available to buy in 8' foot lengths or metric 2440mm. Available to order, Please allow 7 to 10 Business days for delivery. Amazing to know in Southampton town is known for having the largest collection of preserved Victorian homes in the UK. Built in 1869 this heritage house, most recently featured in the "Tour of Homes" is a perfect example of Southampton’s past and present. This lovely Victorian home has been featured in numerous home decor magazines, and national publications which all celebrate its character, style and uniqueness. The front foyer welcomes you to the main living area made up of the den, grand living room, dining room and kitchen. The den has a fireplace, hardwood floors and 12 foot ceilings adorned by original plaster Victorian mouldings right through the whole house and the three bedrooms upstairs. The formal living and dining room boast the most authentic and preserved features of this 1869 treasure with its original hardwood floors, 12 foot ceilings and the original period Victorian plaster coving. 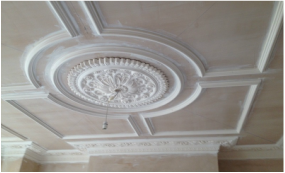 Here at Coving Shop UK Victorian coving and Victorian plaster cornice is the furthermost Common Victorian cornice we manufacture and supply. This period Victorian cornice brings an air of decadence and class to any room of the house. Period style of plaster Victorian ceiling cornicing typically has many ridges, curves and deep inner cove along with a most common more projecting onto the ceiling and a shallow depth down to the wall. Period styles like Victorian plaster coving also helps to improve the property value of your home, which explains why it is often used by building companies, property developers, interior designers and people looking to move up the property standings. Each style and design has a brief description with information on suitable ceiling heights and room's. Good to know, the late Victorian styles plaster cornicing, has been used in early Edwardian era homes, please view our Edwardian coving range you may find a similarity of styles/designs if you are looking to match your existing coving. 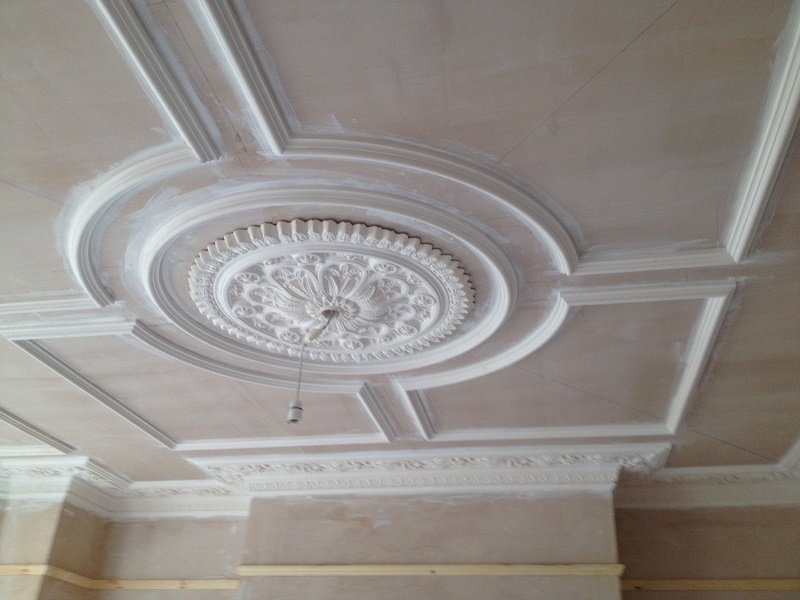 Any Bespoke plaster coving can be created and any style of plaster cornice reproduced. Curved walls are our specialty. Imagination is the only limit. Also please remember to periodically visit our new online catalogue for future updates.